So you girls remember this cute little icon on your planners which says Closet Clean up tomorrow? Well, here we are to help you clean up. 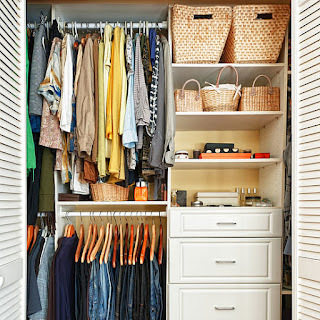 Just follow our simple plan and soon you will have a clean enviable closet. For eg: Wear semi formals to work all day and sweats in the evening once you’re home. Wear jeans and a tee all day, and just shorts or skirts in the evening. Got the picture? Great! Let’s move ahead. 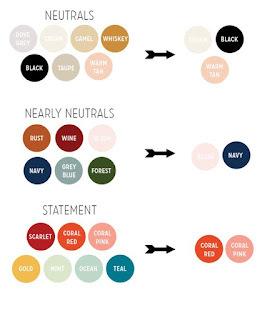 Now that we have established your “real” lifestyle, decide upon a colour scheme. Mention that too. Like I love to wear whites and beiges, but I have a toddler who drops the most hideous stuff on me when I am wearing those colours. So a safer bet for me is to wear darker clothes when I am around her. (Or alternatively wear a raincoat over my whites) But nonetheless, just a generic colour scheme. 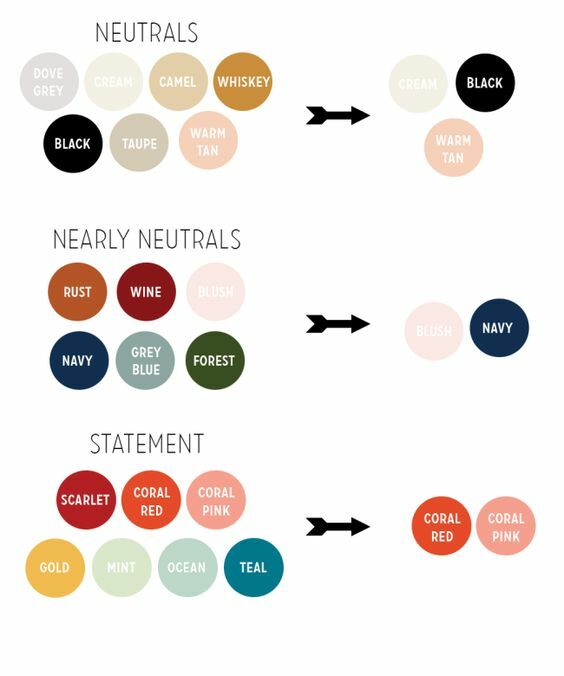 See this image for colours and accent colours. Until now, you might have noticed that we haven’t even touched the closet. Right? But don’t worry we are getting there. Next thing is to go shopping…..you love me already don’t you? Read this space for some details about shopping. You are basically shopping for organisers and drawers and the like. Get some pretty wipe down type of pouches for make up, some drawer organisers for inner garments and some nice hangers for the great clothes. Now that you are set: let’s jump in. 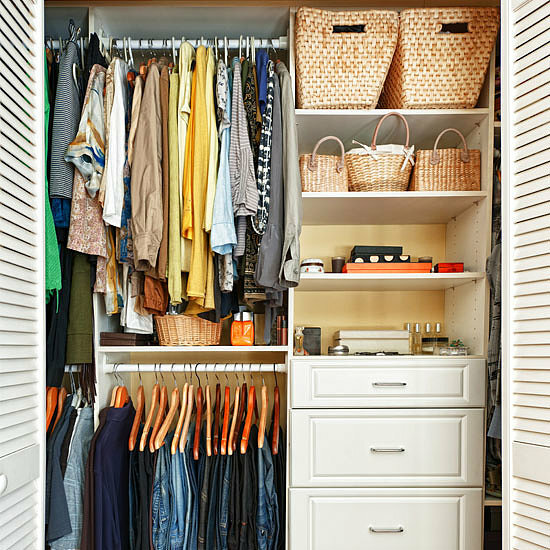 Drag out all your clothes from the closet. See how your closet looks when its empty. Admire it for a bit, and then get sorting. Sort your clothes either according to your wearability or colours. Some people like to have piles of clothes which is more like “work wear” “Gym wear” or “lounge wear” “party clothes” “ethnic clothes” etc. Some just like to sort by colour and have a colour coded closet. Once you are done sorting, you will notice that you sorted through a number of clothes that you haven’t worn / don’t fit in to but are in great condition / don’t want ever again in your life. Set these clothes aside and put the remaining clothes inside. Once you are done with clothes, so the same for your accessories. Soon you shall have a large pile of clothes and accessories that look great but hardly ever wear. Lay these accessories on a plain surface like a table or your bed, and click photos. Read more here to know how to click great photos of these items. Once you are sorted with the pictures, upload them on the EthnicThread app. It’s a great platform to sell or rent these gently used items. By doing this your are not only getting some quick bucks but also being a party of the #ThoughtfulFashion movement! So when do we see some clothes on the app?